I'm excited because I got my first One Kings Lane purchase in the mail yesterday! 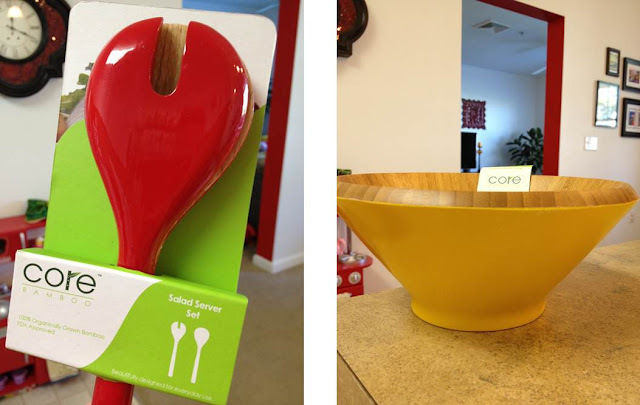 I ordered two very usable kitchen items - a set of red-lacquered salad tongs, and a catch-all yellow bamboo bowl. Wanna see?!? And, here are my new items in use! Awesome news: All week long, One Kings Lane is offering fantastic deals on their home and kitchen appliances! With the holiday season approaching, this is the perfect sale to make sure you have everything you need for warm gatherings at your home. If you're new to One Kings Lane, sign up today for a $15 credit for purchases of $30 or more. 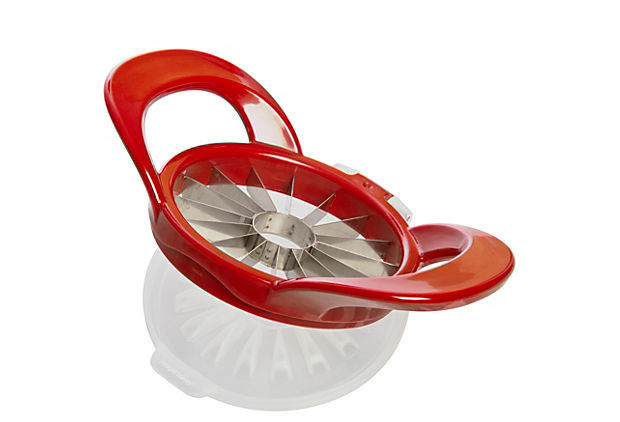 It's a Thin Apple Slicer that yields 16 slices (vice the 8 huge slices you get with typical apple slicers) - much better for little ones to eat and much better for apple recipes. Even better, it was discounted down to only $8. I love it and can't wait to get it in the mail! Head over to One Kings Lane now before the current kitchen deals are over this Friday! Any one else a One Kings Lane lover? What have you ordered off the site? It's a new staple in our house. how genius to have an apple slicer that slices in 16's rather than 8's? I love it! That is my major complaint about an apple slicer- too big of slices. I love One Kings Lane too, however, I have never purchased anything...I'm afraid that once I start, I won't be able to stop:)! Great finds!